Norman Rockwell. (1894-1978), “Rosie the Riveter,” 1943. 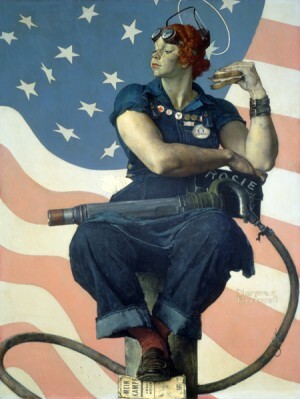 Stockbridge, MA, April 10, 2018—Norman Rockwell Museum will celebrate the 75th anniversary of one of Norman Rockwell’s most enduring works during its Rosie the Riveter Day, to be held at the Museum on Saturday, May 26, from 1 to 4 p.m. Published on the cover of The Saturday Evening Post in May of 1943, the iconic painting will be the theme for talks, workshops, music, and dance performances throughout the afternoon.